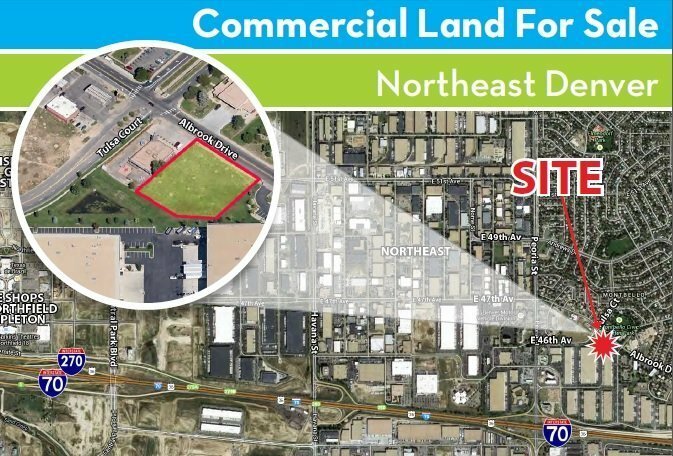 Denver, CO – NavPoint Real Estate Group is pleased to announce the sale of the 39,258 SF vacant land located at 13000 E Albrook Drive in Denver. This vacant land is conveniently located off Albrook Drive and E 46th Avenue, less than 1 mile from I-70. The seller was St. Kieran Organics. The purchaser was Holtz Industries. Matt Kulbe of NavPoint Real Estate Group represented the seller. Charles Reynolds of Vista Commercial represented the buyer. This deal successfully closed in October.